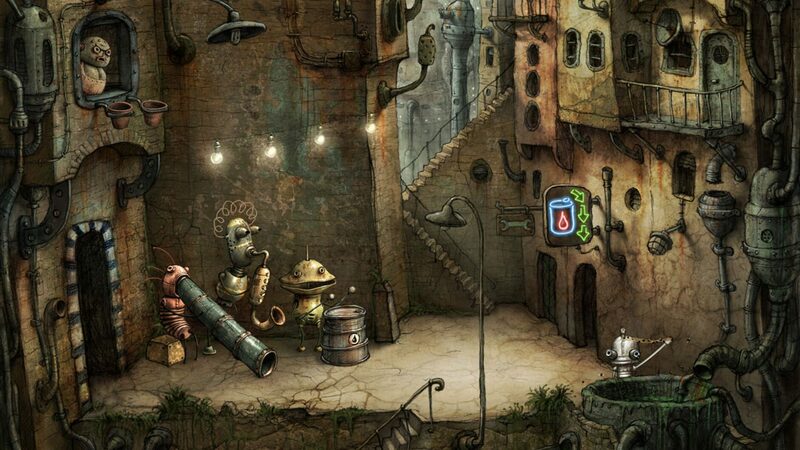 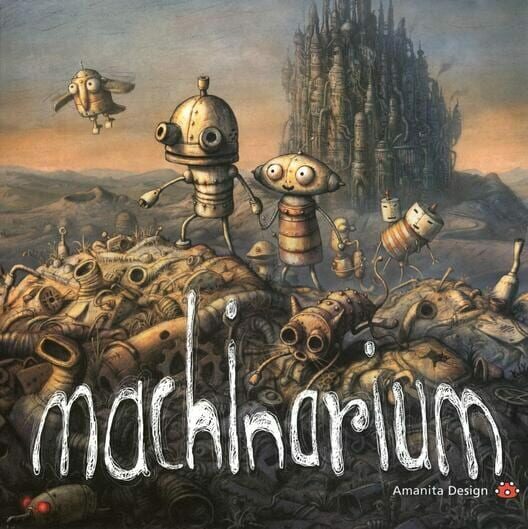 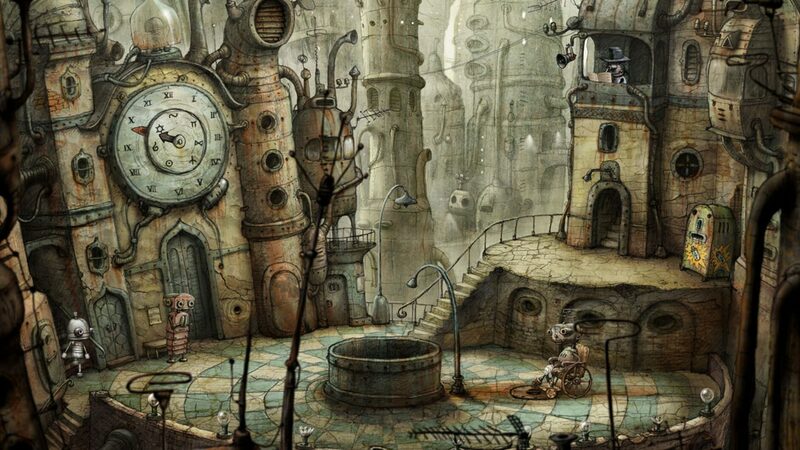 Machinarium opens with an overview of the eponymous city as a disposal flier launches from its highest tower. 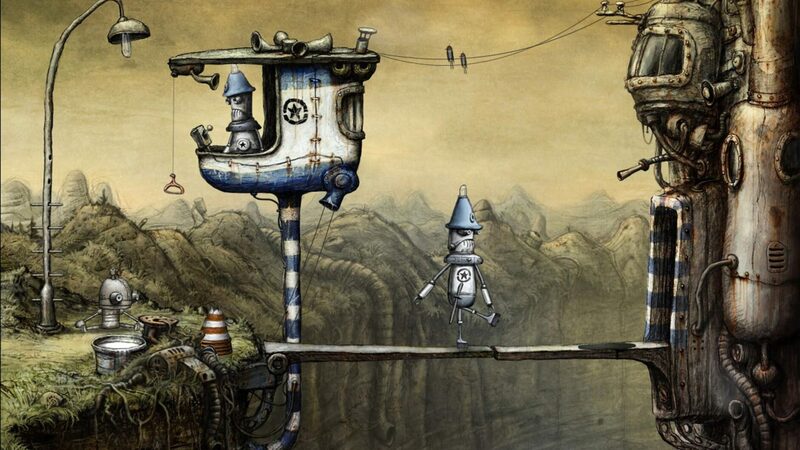 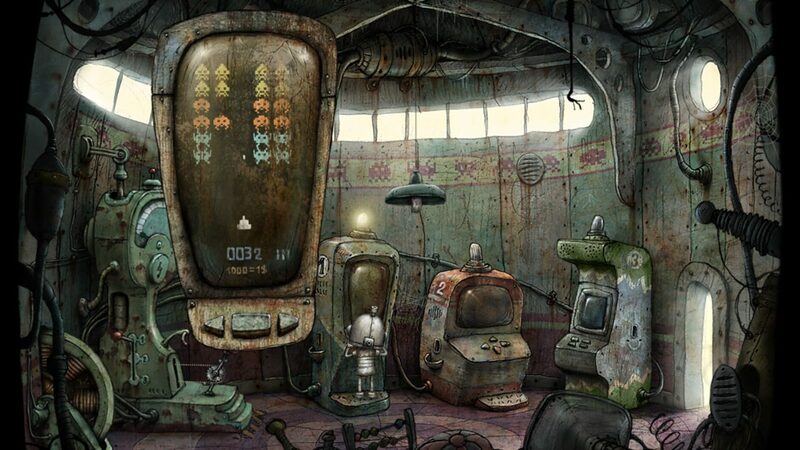 The player character, a robot called Josef is dumped on a scrapheap, where he re-assembles himself and sets off for the city. 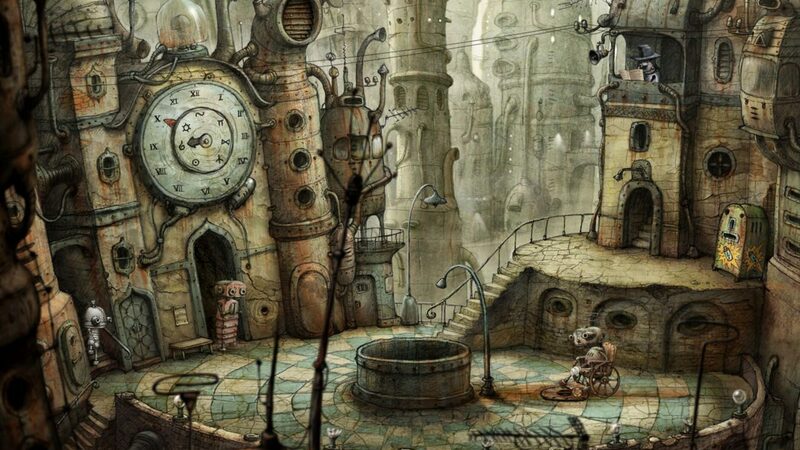 Entering the city, he discovers a plot by the Black Cap Brotherhood, his three thuggish antagonists, to blow up the city's tower.